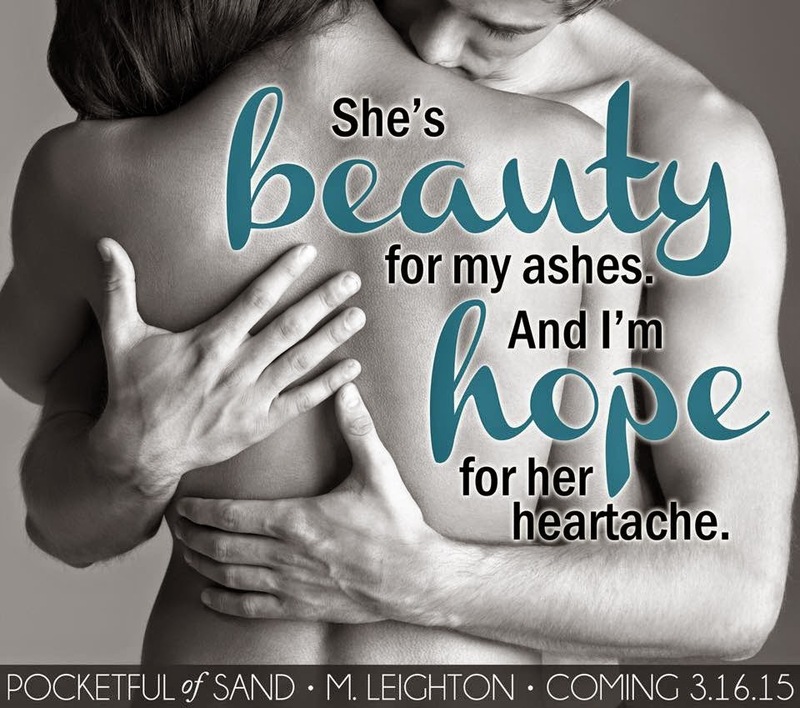 M. Leighton Books: Signed POCKETFUL OF SAND Giveaway! It's about time for this baby to release and I've already got the urge to give away paperbacks:) LOL Too soon? For a giveaway...NEVER! Also, a huge round of giveaways will begin in my Facebook group, Laid-back with Leighton, on March 8th, so if you aren't already a member, you should come on over and have a little fun:) And if you aren't a member of my newsletter, you should sign up for that, too! I don't send out many updates, so you won't be aggravated to death. LOL But I DO send out exclusive material and do member-only giveaways, so there's another chance to win. You can sign up for that here.